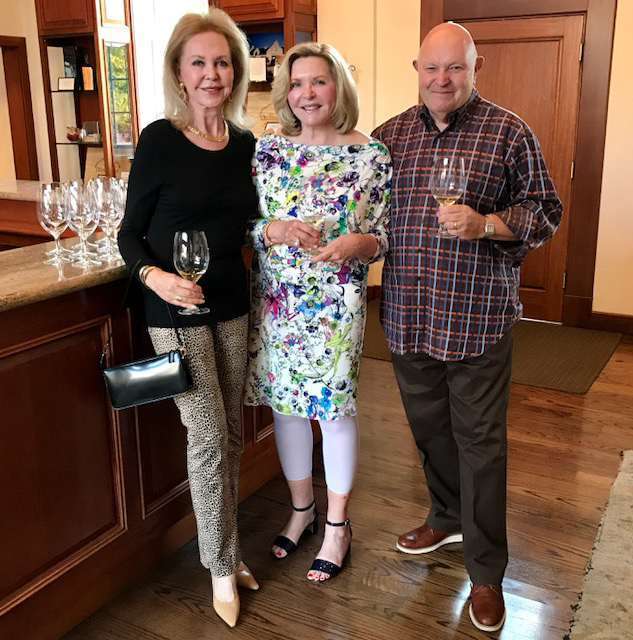 The 2017 harvest was well underway as Napa Branch members arrived at Chimney Rock Winery in Napa’s Stags Leap area on Saturday, September 16. 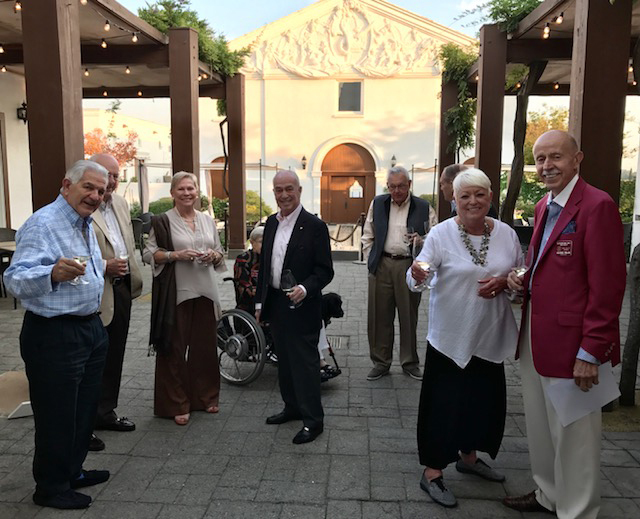 It was a beautiful late summer evening for the reception in the winery patio area. 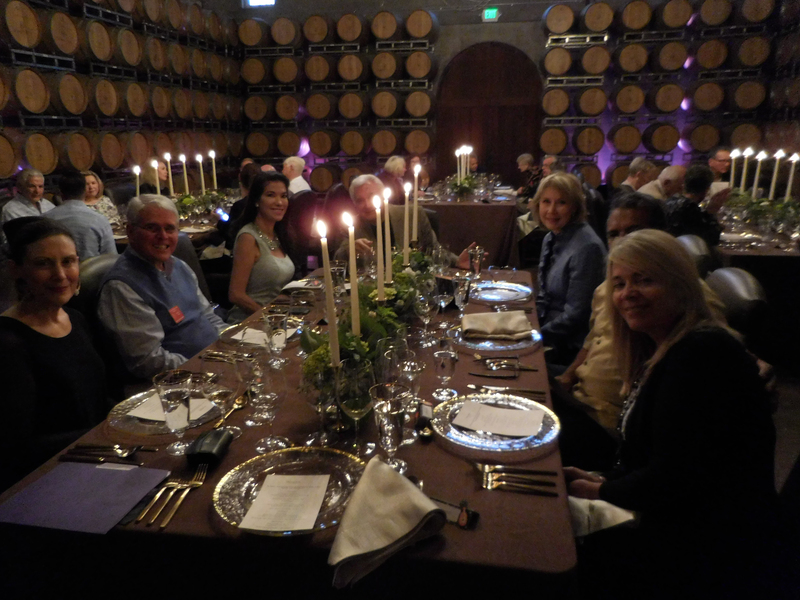 Chimney Rock Winery was established by the Wilson family from South Africa in 1983 and purchased by the Terlato family in 2004. 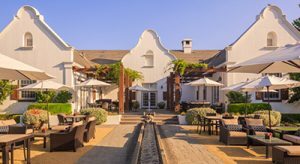 When the Wilson family started the winery they chose Cape Dutch-style architecture of the Western Cape of South Africa for the winery buildings. It was a real treat for our members to visit such a beautiful facility. 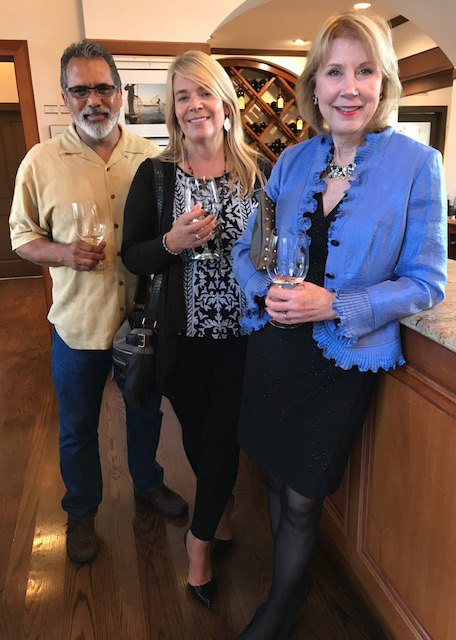 Winemaker Elizabeth VIanna produces wines of exceptional quality that are among Napa’s best and stand shoulder to shoulder with the great wines of the world. Chef Gary Penir prepared the food for the evening that was truly outstanding. Our reception featured Tuna Poke, Tempura Nori, Scallion, Japanese Mayonaise; and Beef and Black Garlic Turnover, Aioli, Chemoula; paired with 2015 Chimney Rock Sauvignon Blanc and 2013 Chimney Rock Cabernet Sauvignon. 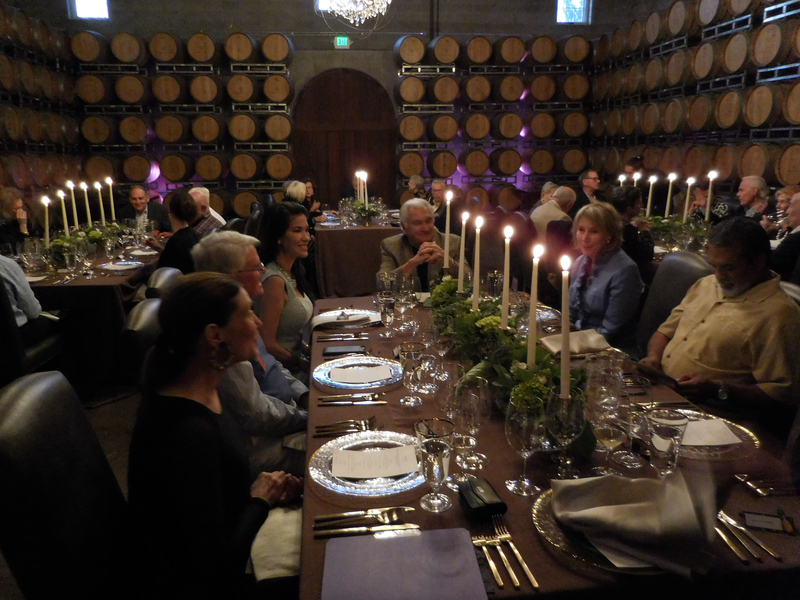 Dinner was served in the beautiful Barrel Room and began with an Heirloom Tomato Salad, Meredith Dairy Cheese, Summer Greens, Nuoc Chan, Keffir Lime, Green Papaya and Thai Herbs; paired with 2014 Chimney Rock Elevage Blanc. Followed by Cured Pork Pasta, Brentwood Corn, Radiatore Pasta, Bacon Powder, Curly Mustard Greens, and Black Pepper; paired with 2010 Chimney Rock Elevage Red poured from magnums. Our main course was a Bavette Steak with Potato, Cucumber Kimchi, Pickled Shitake, Mizuna and Crispy Egg Yolk; paired with 2013 Chimney Rock Tomahawk Cabernet Sauvignon. And finally for dessert, Peach Leaf Panna Cotta, Local Peaches and Olive Oil. 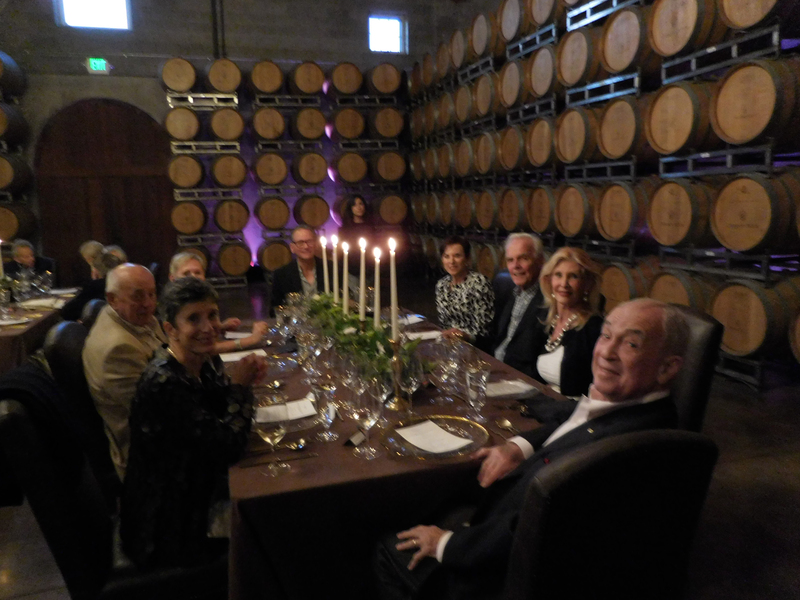 The dinner prepared by Chef Penir paired with world class Chimney Rock wines was one of our best events, a truly gourmet wine and food experience. Event chair Bob Kiersey arranged the event.